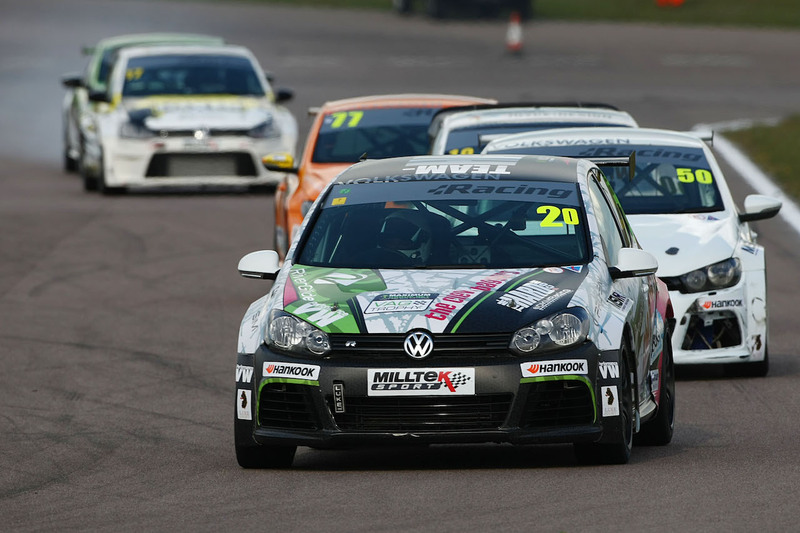 Teen racing driver Damani Marcano, took part in the first race weekend of the Milltek Sport Volkswagen Racing Cup held at Rockingham Motor Speedway on 30th April and 1st May. The 17yr old recently began his second season in the Team-HARD. young driver development programme, racing in two competitive saloon car championships to build the experience that is crucial to his growth as a driver. 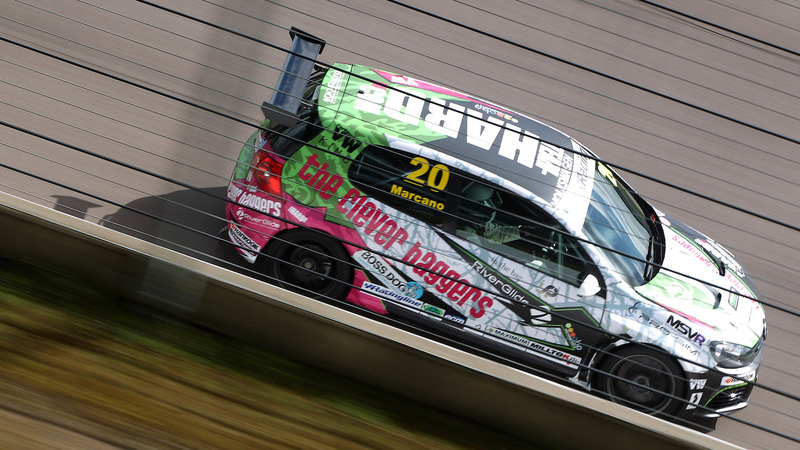 This weekend at Rockingham Damani qualified 9th, his highest position in the fiercely competitive Volkswagen Racing Cup to date. For Marcano, this was a bitter sweet result, having shown incredible promise early on in qualifying, provisionally set for a top-3 start. As the field spread out, the Team-HARD. driver underestimated his own pace, not leaving enough of a gap in front and unexpectedly catching up with the cars ahead. Overtaking these cars slowed his laps while track conditions allowed others to improve – ultimately placing Damani in P9. Yet more experience gained. In race one, despite a progressively worsening understeer handling issue, Damani made up two spots to P7, one more place would result in a pole-position start in race two. With over half the race left to make up this position, the understeer problem became so bad that hanging on to 7th became his priority until the cause of his handling issues revealed itself. With gradual pressure loss in his right front tyre, it eventually blew under heavy braking, ending his race. Marcano’s retreat to the pits in race one meant that his starting position for the second race would be at the back of the grid. Never one to be deterred from his goal to build on his best performance from 2015 and remain in the top-10, Damani fought back hard through the pack finishing 10th, passing some of the most experienced in saloon car racing. The Milltek Sport Volkswagen Racing Cup is widely regarded as one of the most competitive saloon car racing series out there. 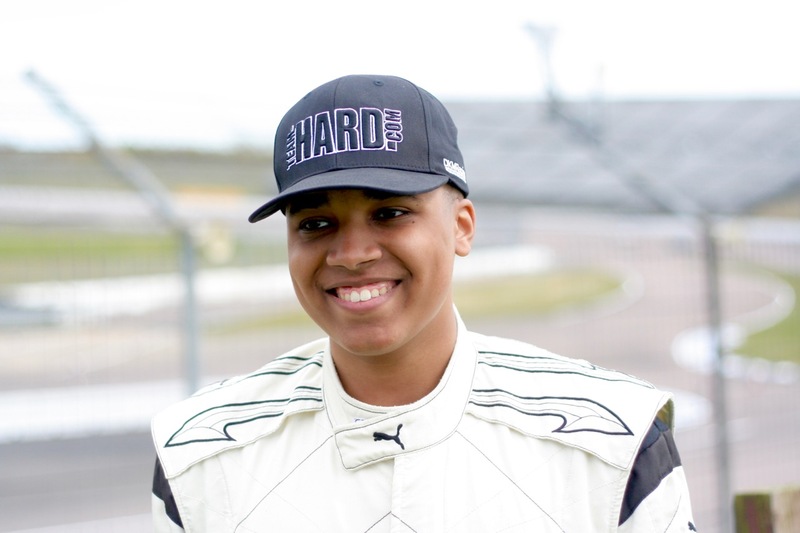 Damani is the youngest driver in the series, competing against drivers with years more driving and racing experience. To achieve a top-10 in this field, before he’s even taken his first driving lesson, is impressive on its own. With A-Level coursework deadlines and first year exams looming, Damani will have his work cut out making time to prepare for his next races at Brands Hatch (14th/15th April) back in the VAG Trophy.